Wow! 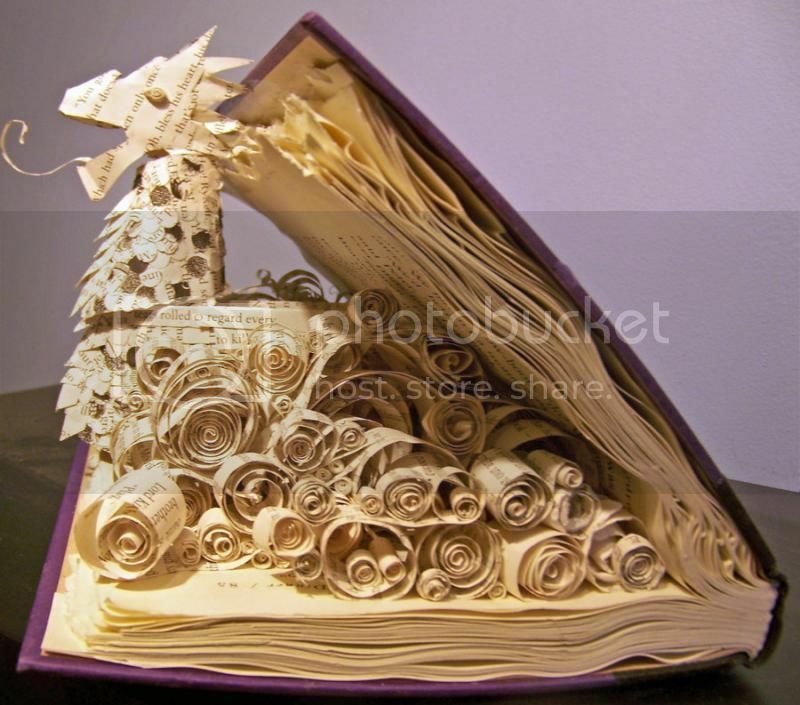 Check out this amazing recycled book art. It's the Dawn Treader from the Narnia series. That is phenomenal! Now if only there were a way to put a bracelet on one of the dragon's legs, it would be perfect for that book. I want to hop in that dragon boat and sail away! I guess I'd feel different if it was a first edition copy, signed by the author or something like that. It's not like it's the last copy in the world!